Mecidiye (in older publications also spelled as Medjidiye) was a protected cruiser of the Ottoman Empire that saw action during the Balkan Wars and World War I. It was ordered by the Ottoman Navy in 1900 to the U.S. shipbuilding company William Cramp & Sons. It was laid down in Philadelphia on 7 November 1901; launched on 25 July 1903; its sea trials began in October 1903; and it was commissioned on 19 December 1903. It weighed 3,485 tons (3,967 tons full load); was 102.4m long with a beam of 12.8m and a draught of 4.8m; and was named after the Ottoman Sultan Abdülmecid. During the First World War, Mecidiye operated in the Black Sea. On April 3, 1915, while shelling the port of Odessa, the ship was sunk by hitting a Russian mine 15 nautical miles off the coast of Vorokoskiy-Mayak near Odessa in the Russian Empire. 26 crewmen lost their lives. The ship was raised by the Russians on May 31, 1915, and salvaged on June 8, 1915. 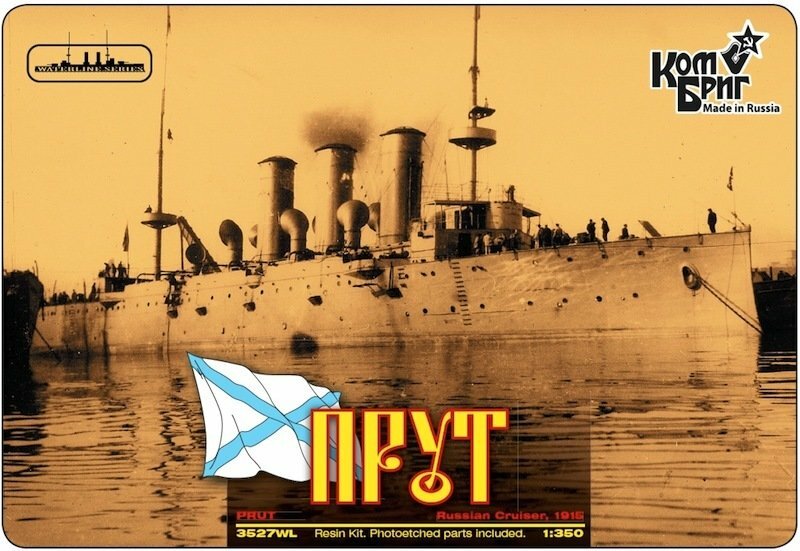 It was refitted at the Ropit Yard in Odessa before being commissioned by the Russian Navy with the name Prut (Pruth) on 29 October 1915. On 1 May 1918 it was captured by the German forces at Sevastopol and was returned to the Ottoman Navy on 13 May 1918, which re-commissioned the ship asMecidiye.